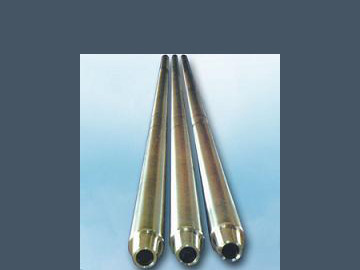 SlimDril offer a range of high quality forged drill pipe for all American Augers, Ditch Witch, Vermeer as well as API drill pipe from 3 1/8” to 8” diameters, including Heavy weight. To compliment the range of Drill pipe SlimDril offer a large range of Non magnetic drill collars that can be either purchased or rented for use with all types of wireline steering tools and Digitrax SST systems. Non mag Orienting subs and Jetting assemblies also available.